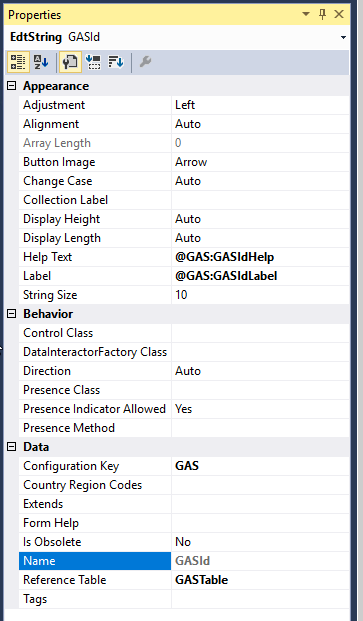 In this series, I am creating a fictitious module called Generic Application Solution (GAS). 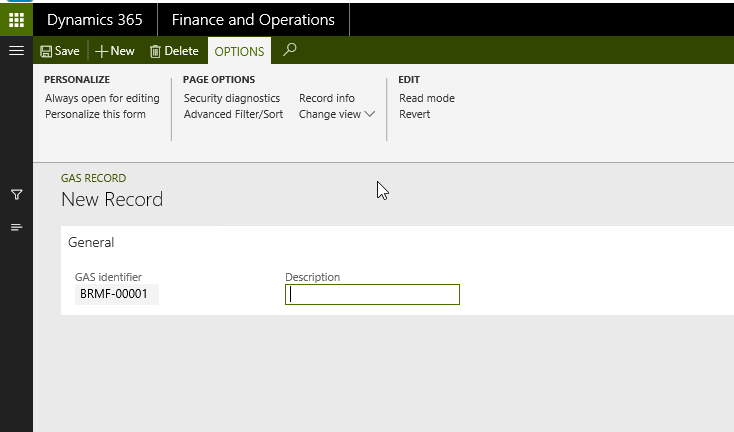 The assumption will be that the reader has an intermediate knowledge of development in Dynamics 365 as well as best practices. This post will build upon the last post by adding a number sequence for a data type. The data type for a number sequence is almost always a string. There are no special rules for this data type. The configuration key property should be set to the module’s configuration key. Adding the data type to the number sequence module involves adding a block of code (similar to the following) to the loadModule method on the NumberSequenceModule class. In this block of code, developers add the data type to the dataType object with the parmDatatypeId method. The remainder of the lines controls various parameters on the number sequence. The final line adds the data type to the module. After running the loadModule method, as discussed in a previous post, the data type should be visible in the parameters form. The final step in creating the number sequence of the data type is to add a static method that returns a reference to the number sequence. There are a few options in which developers can use a number sequence. This exercise will show how to use it one a form. For the purposes of brevity, I will assume that we already have a form on which we want to use the number sequence. This form should have a table that uses a field with the data type as its primary key and that all of the user interface elements are on it. Using the number sequence on a form consists of code. Specifically, developers use the NumberSeqFormHandler class. Developers store this object in a member variable on the form and include a method to instantiate the object if it has not already been. On the form, developers override the close method. The remaining changes are in the form’s data source. Developers will need to override the linkActive, validateWrite, write, delete, and create methods. After compiling the form and running it, the field that uses the data type should automatically populate when creating a new record. In the next post, I will be wrapping up the series. It will finish by adding the module to the module tab in the navigation pane on the dashboard and talking about other considerations.